New rock and alternative music station NME is to launch nationally on DAB digital radio this Tuesday, 22nd December. The station, featuring the latest music news, up-to-the-minute gig-guides and exclusive live sessions can already be heard on DAB in London, however as part of a trial, the station is being made available to the majority of the population of England, Scotland and Wales on the Digital One multiplex. To receive the new station, listeners should do a re-scan or autotune their DAB digital radio to register the new station and start listening. Truro, Keswick, Caerphilly, Monmouth & Dursley turn on to BBC national DAB digital radio. Classic rock music station The Arrow is leaving the West Midlands' regional DAB multiplex shortly, following the news that Punjabu radio station Sanhji Awaz Radio is to begin broadcasting across the region. Musically, the station will play Punjabi, Bhangra, Hindi, Ghazals, classical, Bollywood and pop music and there will also be discussion and phone-in shows. Christian Radio station UCB UK has joined the national commercial DAB digital radio multiplex alongside Punjabi station Panjab Radio today. UCB UK and UCB Inspirational can already be heard on several local and regional DAB digital radio multiplexes across England and Wales, where UCB Inspirational is set to continue following the switch of its sister station to national DAB. UCB UK can already be heard across Northern Ireland. Panjab Radio can already be heard in London and on the local ensemble for Bradford & Huddersfield. DAB and wi-fi radio manufacturer Pure have taken all ten places in a competition held by commercial multiplex operator, Digital One, to find the most amazing DAB digital radios. Visitors to the Digital One website were asked to pick from a shortlist nominated by "Stay in Touch" newsletter readers. Votes from five thousand listeners were collated and Pure took all places in the top ten. 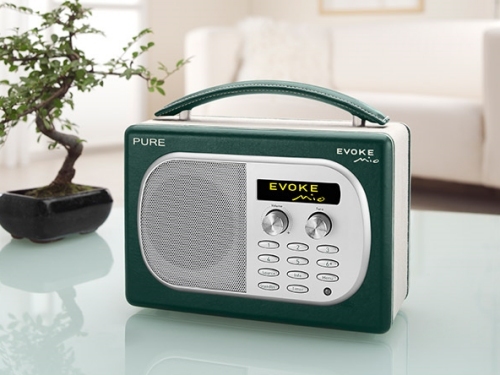 The Evoke 3, the "granddaddy of all digital radios" came out top. Testament to the leongevity and build quality of Pure radios, some of the finalist models are more than 5 years old! London's Biggest Conversation, LBC, has joined Edinburgh and Glasgow's local DAB digital radio multiplexes in place of relaxing music station Chill. The station can be heard on regional DAB radio in England, but it is the first time a London-centric talk station has been broadcast to a different country. Edinburgh's speech station talk 107 closed in 2008, having been on-air for less than three years. New 80s rock ballads radio station Absolute 80s will take over Absolute Xtreme's digital radio slot on the London II multiplex in December. Eighties pop hits will be the order of the day, from Bon Jovi to ABC. Absolute's sister station, dabbl, playing tracks voted for by its listeners and live performances by rock artists, is also planning to launch on local DAB radio serving Bristol and Bath, Swindon, Reading and Basingstoke & Southend and Chelmsford, taking over the slots recently vacated by OurKindOfMusic. The station can currently be heard in London. Easy listening station Our Kind Of Music on DAB in Bristol and Bath, Swindon, Reading and Basingstoke, Southend and Chelmsford is leaving the digital radio platform and taking to the internet, where it will be available exclusively online. The station launched on the Reading and Southend multiplexes in 2005, with Bristol and Bath and Swindon following a year later. Listeners can tune in via a PC or choose a wi-fi internet radio if they want an alternative means of listening. Gold, Xfm and Choice are all moving from London's first DAB digital radio multiplex, operated by CE Digital, to make way for Chill, Heart and Galaxy. Gold and Xfm will be moving to London II and Choice is being shifted to London III. CE Digital is owned by Bauer and Global Radio, with Global also having a share in London III. Chill, in particular, will benefit from a larger coverage area provided by London I. No date has been given for the planned switchover. Galaxy 103.2's sound will shortly be featuring on the local digital radio multiplexes serving Bournemouth, Exeter and Torbay, Kent, Plymouth and Cornwall and the Sussex Coast. The 103.2 service from Southampton is already on the South Hants multiplex. Previously a "generic" version of the station was broadcast. Premier Christian Radio has launched on the national commercial digital radio multiplex. The station, playing inspirational and uplifting music alongside Ministry programmes, is available to tune in to now. Listeners may need to perform an "Autotune" or re-scan to find Premier Christian Radio on their DAB digital radio. All rock radio station The Arrow is switching from Yorkshire's regional DAB digital radio multiplex to a series of three local multiplexes for South Yorkshire, Humberside and Leeds. Xfm, which is carried on all three multiplexes, takes the station's place on the regional multiplex. The Arrow is an outgoing brand of operator Global Radio and survives on other regional multiplexes serving England and Wales despite, for example, being totally unlistenable on the mux serving South Wales and the Severn Estuary due to problems with distortion - a situation that has persisted for at least six months. Chillout music station Chill has recently left the Wolverhampton and Coventry local DAB digital radio multiplexes. It is also making way for London's talk station LBC on the local multiplexes serving Edinburgh and Glasgow. Chill remains on the Birmingham and London's third digital radio mux. It can also be heard online at helpmechill.com. Galaxy has been lined up as the replacement for relaxing music station Chill. Galaxy will appear on the Bournemouth, Cambridge, Exeter & Torbay, Kent, Norwich, Peterborough, Plymouth & Cornwall, Reading & Basingstoke, Southend & Chelmsford and the Sussex Coast multiplexes this week, expanding coverage of the dance and r&b music station. It will also appear on the regional DAB multiplex for South Wales and the West of England - harking back to its Bristolian roots, where the station was first heard on 97.2 FM. Heart Bristol will be broadcast on the South Wales and Severn Estuary DAB multiplex soon, replacing the simulcast of Heart 106.2 from London. Urban music station from England's capital, Choice FM makes its debut on the Cardiff and Newport local DAB digital radio multiplex, as a replacement for chillout music station Chill. It drops off the Wales and West multiplex as a result. It switches also to the Bristol & Bath local DAB multiplex. Modern rock station Xfm returns to the DAB digital radio multiplex serving South Wales and the West of England this week. It switches from the Cardiff and Newport mux to cover a wider area, and will be a simulcast of the Xfm service from London. Xfm South Wales was sold in May 2008 after just six months on air and now broadcasts on FM as Nation Radio. Relaxing music chillout station Chill is being taken off several local DAB digital radio multiplexes. The station will discontinue broadcasting on several Arqiva (previously Now Digital) and co-owned local multiplexes serving Bristol & Bath, Bournemouth, Cambridge, Cardiff & Newport, Exeter & Torbay, Kent, Norwich, Peterborough, Plymouth & Cornwall, Reading & Basingstoke, Southend & Chelmsford and the Sussex Coast. The station was taken off the Nottingham and Leicester multiplexes earlier in the year and a request to remove the station from the Swindon multiplex was lodged at the same time. The station continues on local multiplexes serving Glasgow and Edinburgh, London III and Birmingham. It can also be heard online at helpmechill.com. Arqiva have completed the acquisition of the national DAB digital commercial multiplex previously operated by Digital One, a joint venture between Global Radio and Arqiva. The company has also taken full ownership of Now Digital's local DAB digital multiplexes, covering many parts of England. The national platform Digital One (or 'D1' for short) carries Classic FM, talkSPORT, Absolute Radio, BFBS Radio, Planet Rock, Fun Kids and Amazing Radio. Global Radio will continue to broadcast its stations on DAB as part of the deal. Tom Bennie, CEO of Arqiva, said: "Digital One has always played a leading role in the development of DAB and in stimulating the market for DAB receivers in the UK. Arqiva now plans to invigorate DAB with new channels and services and as an independent operator we're in a good position to realise the full potential of the Digital One multiplex." Anglesey and Wharefedale turn on to the BBC's national DAB digital radio stations. Trans World Radio has bagged a space on the regional DAB digital radio multiplex serving the North West of England. The station will launch soon. The station for children - Fun Kids - will launch on DAB digital radio for the summer holidays. A further nine radio stations are officially switching to the Heart format and name on 22nd June. Pure is back with a brand new DAB micro system with detachable iPod dock - the Sirocco 150. New station playing tracks from unsigned bands has launched on DAB as Birdsong flies away. Ofcom looks at the bigger picture in its plans to overhaul local and regional digital radio multiplexes, with the potential loss of many local commercial radio stations. DAB reaches further into areas around Leeds and north Norfolk as the Beeb switches on two new transmitters. The West, South Midlands and South-West of England hear their station change this Monday. A full round-up of DAB digital and wi-fi internet products on show at Sound and Vision 2009, including a first look at Vita Audio's R2i DAB-and-iPod integrated music system. Rate cut to encourage national stations onto DAB digital radio. Local DAB operator MuxCo has published a revised timetable for the launch of its multiplexes. Shipping now, Pure's new i-10 iPod dock connects to your Pure DAB radio with line (MP3) player input, such as the Pure One Mini, Classic or Elite. 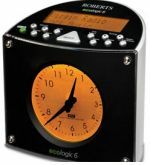 It also connects to your older Pure DAB micro system or any other radio with a line-level (auxiliary) input. iDream, you dream... and then we're late for work. Could Roberts' alarm clock with iPod dock be the answer? Let's see what's on the radio... Ah Heart, er Heart and errm... Heart. 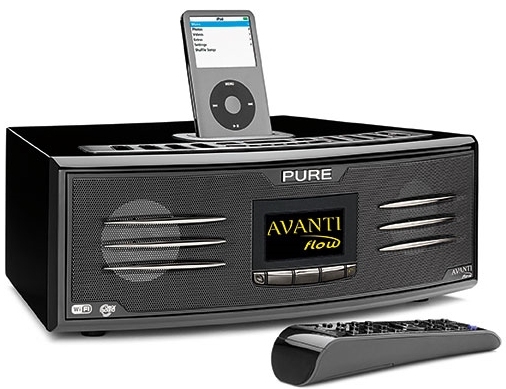 Does the Pure Avanti has the internet radio advantage? Pure Evoke Mio oozes class, but at what price?